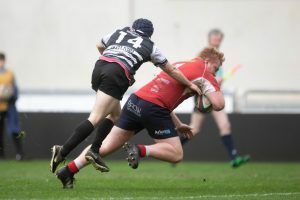 A Premiership relegation battle was in store as thirteenth placed Llanelli hosted Cross Keys, one position and one point below them in the rankings. 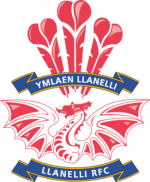 The reverse fixture back in November had ended in an uninspiring 5pts all draw – not so this encounter with Llanelli outscoring their opponents by nine tries to two and 53pts to 12. 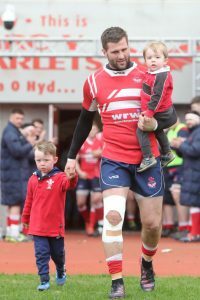 Centre Jonny Lewis was making his 200th appearance for the club and led the side out in this very important match. 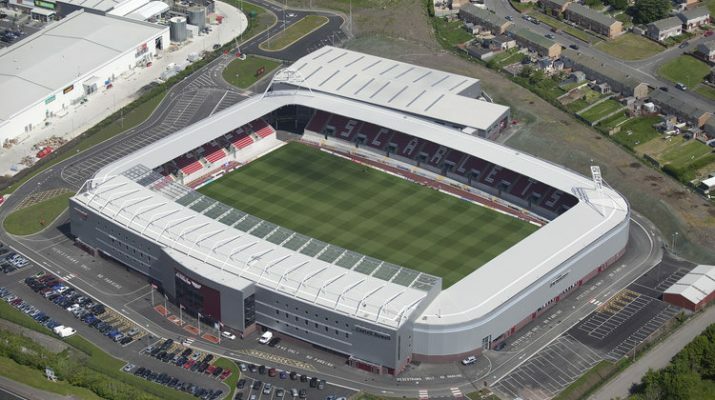 Llanelli played an early penalty advantage to send prop Simon Gardiner over from a line-out drive and forged further ahead as no9 Declan Smith sniped over from an attacking scrum. 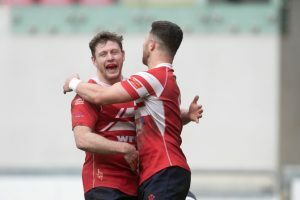 Cross Keys were struggling to make an impression and were masters of their own undoing following a defensive mix-up, Declan Smith pouncing for another try. 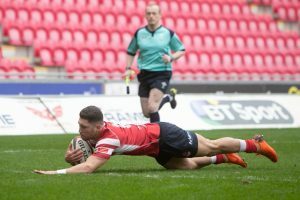 Sustained Llanelli pressure was turned into points as prop Rhys Fawcett claimed the bonus point try which Smith converted. 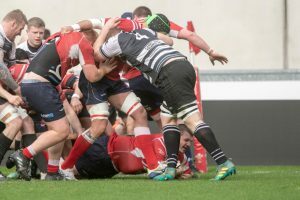 It was past the half hour mark before the visitors posed a threat, outside half Carwyn Penny breaking with scrum half Dan Babos in support to score a try which Penny converted. Llanelli resumed on the attack, forging a turnover for centre Ryan Davies to cruise in for a try converted by Smith, posting an interval lead of 29pts to 7. The home team continued in the ascendancy, working off a strong scrum, allowing replacement Ioan Hughes to hoist a chip kick with Ryan Davies crossing for an opportunist try. 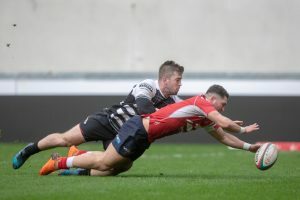 Keys were already chasing what was becoming a scrappy game, Llanelli although failing to score from a pushover scrum, applying pressure with Ryan Davies crossing for his hat-trick try, converted by Hughes. Llanelli extended their lead with replacement Leon Randell next to cross, but Keys finding some consolation as wing Iwan Burgwin intercepted to score out wide. 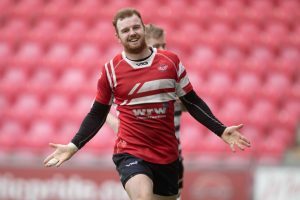 The Llanelli try fest was rounded off by replacement Joel James with Ioan Hughes converting to seal the big win. Tries: Simon Gardiner; Declan Smith (2); Rhys Fawcett; Ryan Davies (3); Leon Randell; Joel James. Cons: Declan Smith (2); Ioan Hughes. 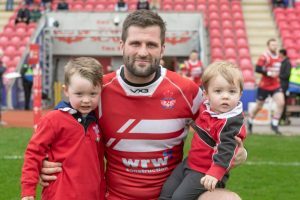 Tries: Dan Babos; Iwan Burgwin. A much needed win then and the boys now move on to the next challenge that is Aberavon at the ‘parc’ next Saturday.